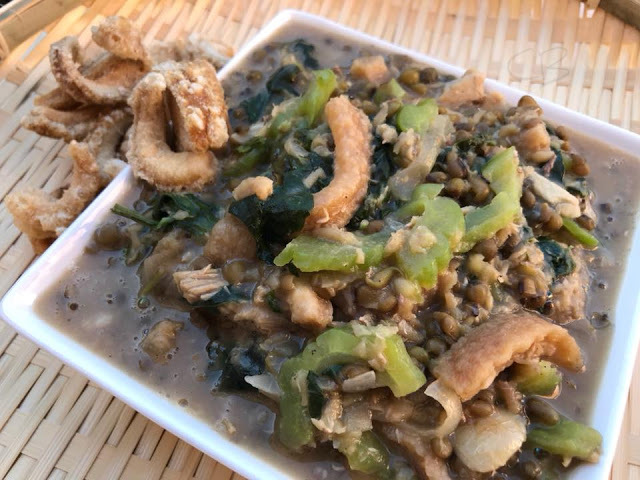 Ginisang Monggo is an all time Filipino favorite dish. 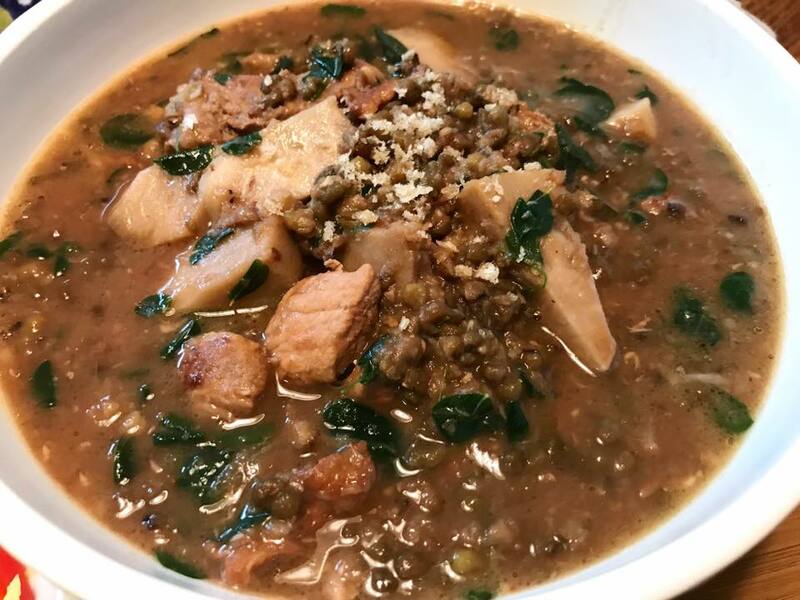 Monggo is not only delicious but also nutritious and easy to make. There are so many ways on how or what to add to your monggo dish and this one is one of the simple one. 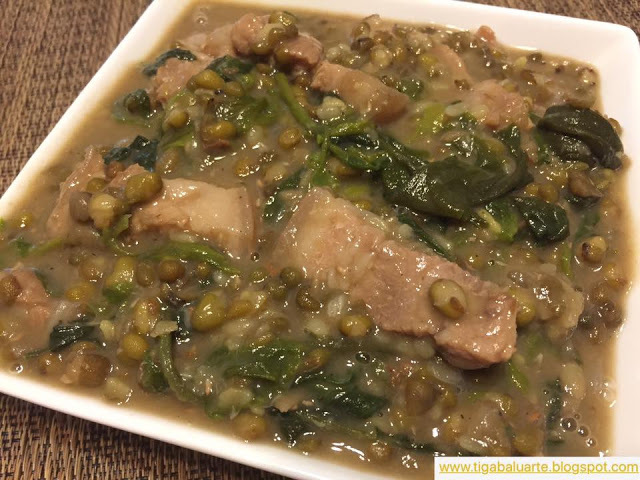 With this monggo recipe I added green jack fruit (langka), malunggay and pork. 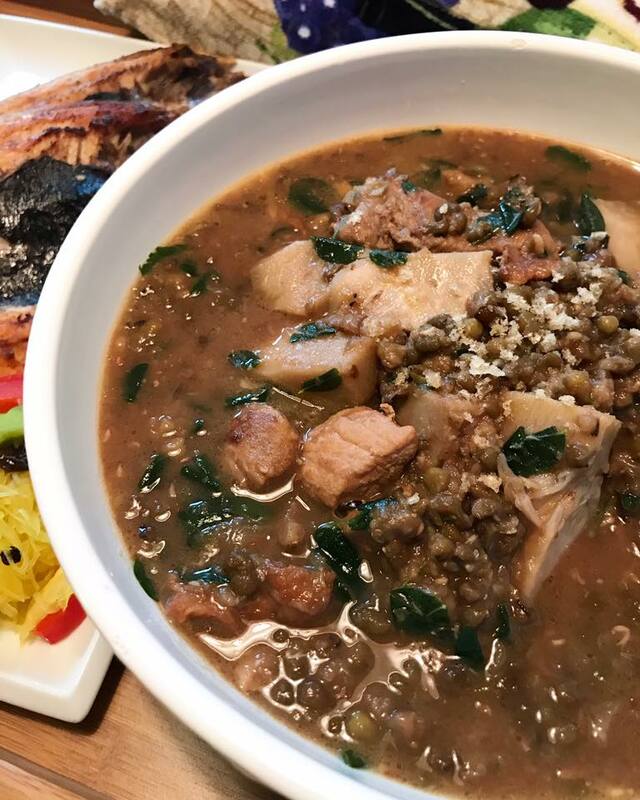 Ginisang Monggo Soup is an ultimate Filipino comfort food. It is inexpensive and you can feed a big family with a cup of dried monggo beans. 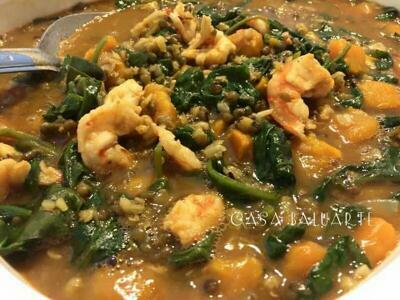 You can add others vegetables and meat and even shrimp. 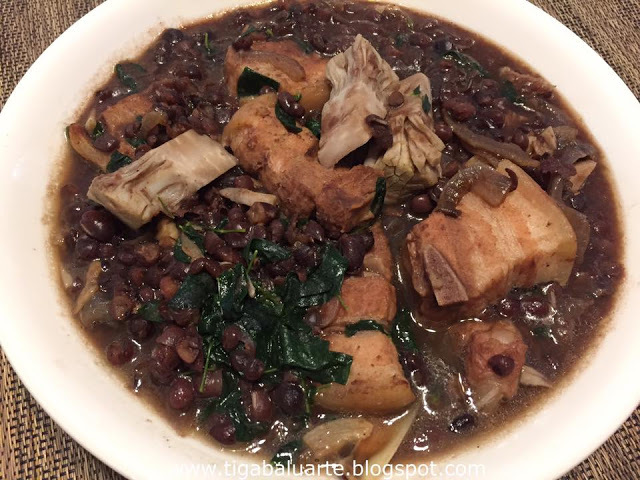 Don't forget to check out below related monggo recipe post. Click name link below the picture to see complete recipe. Give it a try and let me know. Leave me a comment or a suggestion and I will get back with you. Place mung beans in a big deep pot. Rinse in water and drain. Add 3 cups of water and bring into a boil. Add more water while boiling if needed. Continue to boil mung beans until half way cooked. Stir every few minutes. Transfer half cooked mung beans in a deep container and set aside. *keep an eye while boiling, mung beans tends to over flow. To avoid that, cover pot half way. Rinse same pot and heat. Add cooking to the pot and saute garlic and onions. Add pork slices and cook until pork turns golden crispy brown. Add bagoong and fish sauce. Stir and continue to cook for few minutes. Pour in half way cooked mung beans back to the pot with the sauteed pork. Bring pot into a quick boil and reduce to medium heat. Continue cooking until mung beans are fully cooked and pork is tender. Season with ground pepper and add more salt if needed. Add jack fruit and stir. Continue cooking until jack fruit or langka is fully cooked. Add malunggay leaves and stir. Cook for 2 minutes. Transfer in a serving bowl and serve hot with steam rice. Enjoy.